Kansas City FSC is open to anyone with an interest in the sport and offers a variety of membership categories (as shown below). Dues are determined by membership category in combination with the postmark (mail applications) or time stamp (online applications) of each application. Annual renewal activates your membership through June 30, 2018. Take advantage of an early bird discount if renewals are completed prior to July 1, 2018! All members are asked to use the above on-line form to submit your application. 1) Credit Card Payment - Please complete the above form and go through the PayPal process to complete your payment. You can pay with a credit card or with Paypal, whichever option works best for you. Once your payment is complete, you will receive two email confirmations, one for your membership application and one for your payment through Paypal. If you do not receive both emails, please contact Kathleen Ogren to confirm that your transaction was completed. Your check and online application will be matched together when both are received by the club to complete the processing of your application. 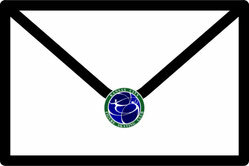 Please note that the postmark on the envelope will determine the membership fee that applies. If you do not receive your email confirmation to the email account you listed in your application, please contact Kathleen Ogren to confirm your transaction was completed. One skating member and parent(s). At least one parent is required to join the club and member parents have voting privileges. One subscription to Skating magazine is included. Other skaters within the family (beyond 1st skater and parents) join as additional skaters. This membership is offered to skaters who have never previously held US Figure Skating membership. Introductory membership is for skaters (under 18) and one (1) parent. One parent is required to join the club and the member parent has voting privileges. One subscription to Skating magazine is included. 1. The Introductory membership is only available the first year in the club. Subsequent years need to move up to a family, collegiate, or individual membership. 2. 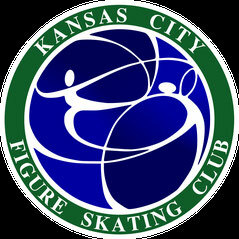 Any skater that has held membership in another club or USFSA prior to joining KCFSC must join as a family, collegiate or individual member (whichever applies).